With the financial difficulties that developers, contractors and community associations are undergoing during the worst economic downturn of the last generation, disputes regarding construction defects can take a very significant toll on their already strained resources. Florida law governing this type of construction dispute is very conducive to mediation between the parties, and the construction law attorneys in South Florida from our firm often advise our clients to consider mediation and make serious efforts to use it whenever possible to resolve these potentially costly and time-consuming claims. By creating a process for construction defect claims that begins with providing notice of the specific defect and giving the contractor/developer an opportunity to investigate and respond, Florida Statute 558 serves as a de facto precursor to mediation. These legal requirements have traditionally made mediation a popular alternative dispute resolution option for these defect claims in the state, and the sour economy and real estate market have also combined to create greater incentives for all of the parties involved in these cases to find equitable and expedited settlements through mediation. Unlike arbitration, which for construction defect cases is typically used only when called for in the contract between the parties, mediation is generally a voluntary and nonbinding option for construction defect disputes. In addition, it is likely to be mandated by the court after the filing of the lawsuit in an attempt to have the parties explore the possibility of finding a resolution outside of the courtroom. Mediation for defect cases has proven to be very effective in part because of the use of certified mediators who are familiar with construction law matters. The parties involved will select a neutral mediator who has a great deal of construction industry experience. This experience often enables resolution since the neutral is familiar with both the legal and construction issues involved in a matter. For example, Steven Siegfried and Stuart Sobel from our firm are regularly selected to serve as mediators for these cases. Mediation, whether required as part of litigation or as a pre-condition to further legal action, can often result in a quicker and less expensive mechanism to resolve construction defect issues. While some discovery is usually necessary in order to reach a resolution through mediation, often times, mediation avoids significant litigation discovery costs. Moreover, in this current economic climate when many developers and contractors have reduced their staff, a prompt resolution through mediation reduces the hours of involvement required by developers and contractors in a prolonged litigation. Accordingly, developers and contractors can focus on business and not litigation. Additionally, with mediation, the parties remain in control of the terms of resolution and decision-making process; whereas in litigation or arbitration, the decision is left to a judge, jury or arbitrator(s). 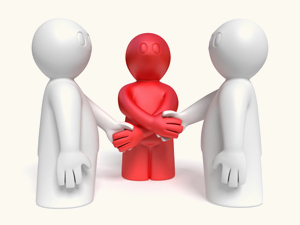 This control, as well as the general nature of the mediation process, also helps to preserve business relationships which may be destroyed by prolonged and costly litigation. In a mediation, each side will essentially present their case to the mediator, who then works with each of the parties to help broker a settlement. If the mediation fails to find a resolution to which the parties can agree, none of the discussions in the mediation process are admissible in a subsequent litigation. In addition, mediation can be an effective means of engaging insurance carriers for contractors, subcontractors and suppliers into the process for cases in which there is insurance coverage based on the allegations of the complaint. If an insurance company is involved in the defense, engaging it in the mediation process can be critical to finding a fair resolution and avoiding continued litigation. The vast majority of cases are resolved prior to trial. Ideally, mediation will often allow the parties involved to cut right to the heart of the matter and find a fair resolution. Thus, engaging in serious mediation proceedings with an effective mediator can be one of the best ways to resolve a construction litigation dispute in a timely and cost-effective matter, particularly in this economic climate.